This spring, nearly 1.5 million students will hit the roadways for spring break travel. I have fond memories of spring break trips with my friends when I was a young adult. We had a lot of fun, but when I think back on those trips, I also remember that we did some less than safe things every now and then. Experiencing freedom is something every teen and college-age student will crave at some point, and parents want to allow their kids to have fun, while hoping that they make smart decisions and keep themselves safe. While it's true that some things are out of one's control, there are plenty of cautious steps that can be taken to ensure one's safety. Plan your route before you go. The very last spring break beach trip that I took with my friends in college, we traveled at night, and we all wound up lost in the middle of nowhere. This was before GPS was easily accessible, and way before smartphones. Try and imagine ten 20-something kids with road maps and flashlights on the side of a back country road, late at night. Looking back, it was the perfect set up for a horror movie, and I cringe when I think about it. Don't let this happen to you. Be smart and map out the roads you'll be traveling. Make sure someone has their phone fully charged, and don't rely on GPS, fully. Have printed out directions and a map as a back-up, in case you're in a dead zone for cell signal. Don't travel in a vehicle that's unreliable. If you or your friends have a vehicle that has a history of breaking down, don't take that vehicle on your road trip. The last thing you want is to break down on the highway or on a desolate roadway. 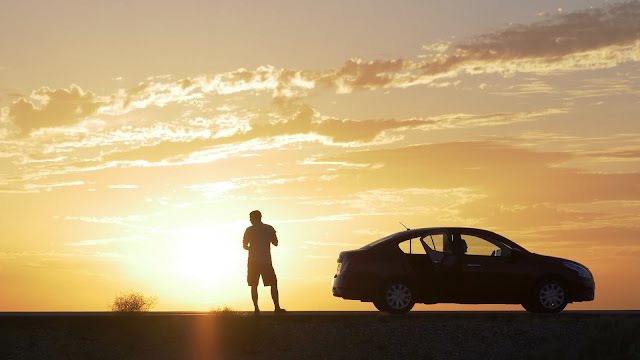 It's a good idea to travel with someone who has access to a AAA membership in case you do need to call someone for assistance during your travels. Take breaks and switch drivers. If you're taking a long road trip and will be traveling more than a few hours from home, it's a good idea to take breaks or switch drivers. Even after driving for just a couple of hours, eyes can start to become tired and vision may become fuzzy. An advantage of traveling with 3-4 people who can drive is that you can all switch off driving every couple of hours. Make sure the person in the passenger seat is able to stay awake while the driver is driving. Two pairs of eyes on the road are better than one. Be sensible when traveling in hazardous weather conditions. Even the safest drivers among experienced adults dislike driving in the rain. Use your head when driving in the rain. Slow down by reducing your speed to a safe speed, and depending on whether there is water pooling on the road or how heavy the rain is, you may need to slow down significantly to avoid hydroplaning or impaired vision. Make sure your wiper blades work well, and make sure you know how to use the defrost in the car, should the windows start to fog up inside. Always drive with your headlights on in the rain so other drivers can see your vehicle. Someone dies from drunk driving every 31 minutes. This rate increases by 23% during spring break. This sad truth claims so many innocent lives every year. Driving while under the influence is illegal, and you're risking your life and the lives of others if you do. Be smart- save your life and those around you. Don't drink and drive. Spring break trips are sort of a rite of passage for young adults, and they can be a lot of fun, but can also be life-changing if proper precautions are not taken. Make sure your friends and family know where you're headed, where you're staying, and when you will return. Stay in touch via texts or phone calls to let your people know your whereabouts. Stick with your friends- travel in groups, and never leave a friend alone. This post brought to you by Chrysler of Culpepper.